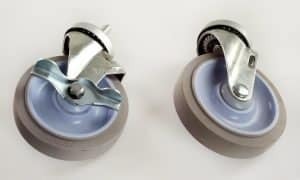 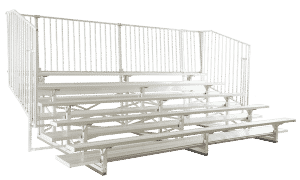 This is the Wheel, Tongue & Jack set used with Kay Park’s Jiffy Sleeve System for 5 Row Bleachers (with or without guard rails) is the traditional bleacher transport system utilizing a set of sleeves, that remain on each bleacher to be moved. 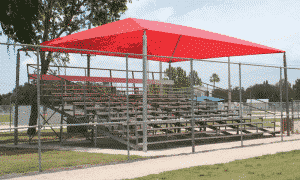 The sleeves used on each frame are purchased with the bleacher as an option. 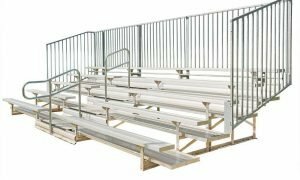 Designed for transporting 5 Row 15, 21, and 27 foot long bleachers. 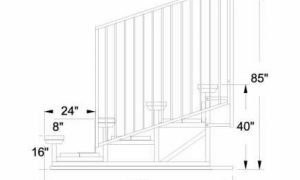 Top recommended speed is 5 MPH. 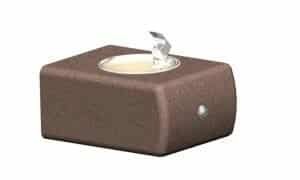 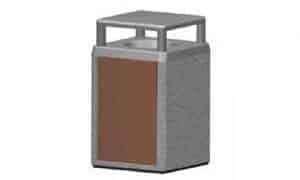 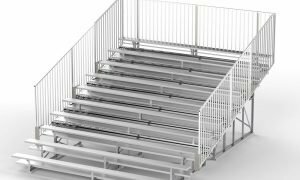 We also have a “Jiffy Mover System” as an option on 5 – 10 Row aluminum bleachers. 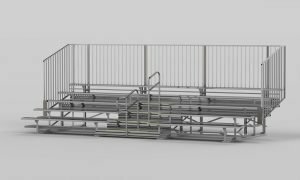 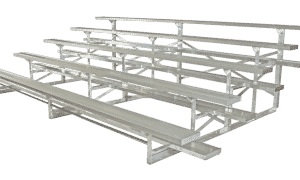 With Jiffy Mover System the wheels & tongue stay on each bleacher to simplify and add safety to the process of moving bleachers. 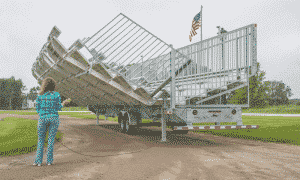 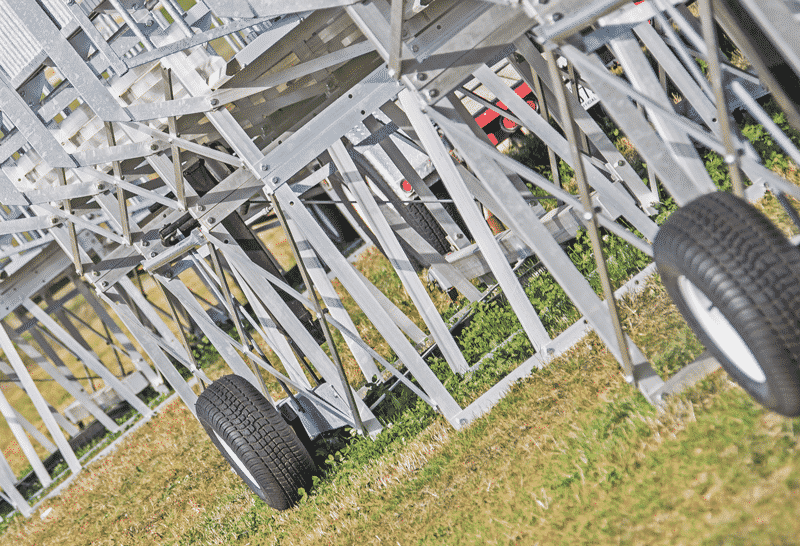 If you are looking for a larger highway towable unit see our “Speedy Bleacher”.